The rear window defroster has a high current draw. You should therefore switch it off as soon as the rear window is clear. 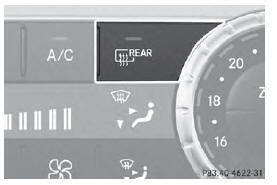 Otherwise, the rear window defroster switches off automatically after several minutes.